The Sierra Nevada Conservancy (SNC) awarded the Town of Mammoth Lakes (TOML) a grant in 2008 to complete recreation and mobility planning in the much-loved and heavily visited Mammoth Lakes Basin. 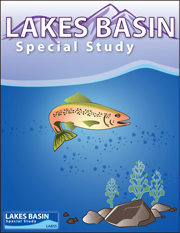 In partnership with the Inyo National Forest (INF) and MLTPA, the Lakes Basin Special Study, or LABSS, kicked off in the summer of 2010 with a variety of community-based outreach events, workshops, field trips, and more. Access the complete LABSS Project Archive! Providing your contact information will help us keep you informed on everything "LABSS" via our regular E-Newsletter, including important related trail and recreation goings-on in Mammoth Lakes!